Did we get new carpets? We at Beyond Carpet Cleaning are dedicated to excellent customer service above all else. Whether you need commercial carpet cleaning or another expert service we provide, we are always punctual, considerate and thorough. We believe that the task at hand is only finished when our customer is satisfied. Using our commercial carpet cleaning services ensures that you will get timely, trustworthy and consistent results. Our innovative cleaning process provides the most effective stain, dirt and allergen removal on the market. Our procedures are flexible, so if you have special considerations, we will collaborate to achieve the result you want. 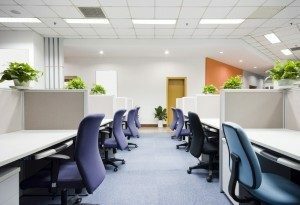 Our experienced, trained technicians are experts in all areas of commercial carpet cleaning. Whatever service you need, we’re confident that we have a technician trained in the necessary techniques. We believe learning is done through doing, so we won’t send you a technician unless they’ve done the specific type of cleaning you require. In addition to consistency, advanced cleaning processes, and highly-trained staff, we focus on superior equipment and safe cleaning products. While some commercial carpet cleaners use the same equipment for years just to save money, we upgrade ours every chance we get. And as soon as a safer alternative goes on the market, we’re the first to change over. Beyond Carpet Cleaning’s commitment to excellent customer service may make us the last commercial carpet cleaning company you ever need to contact. Call us today to schedule an appointment.